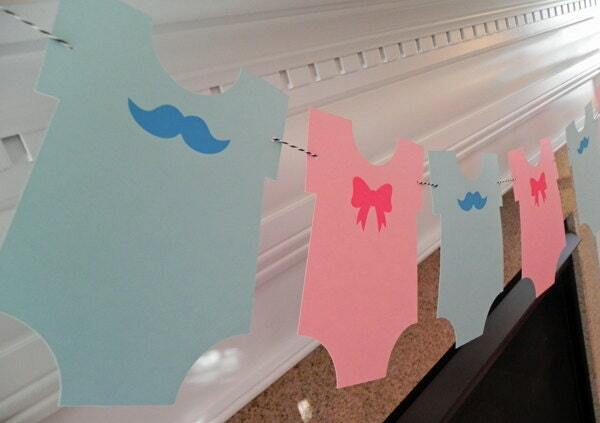 Includes 8 x 8" Bodysuits - 4 in blue with blue mustaches and 4 in pink with pink bows. They are pre-strung on baker's twine and ready to hang! 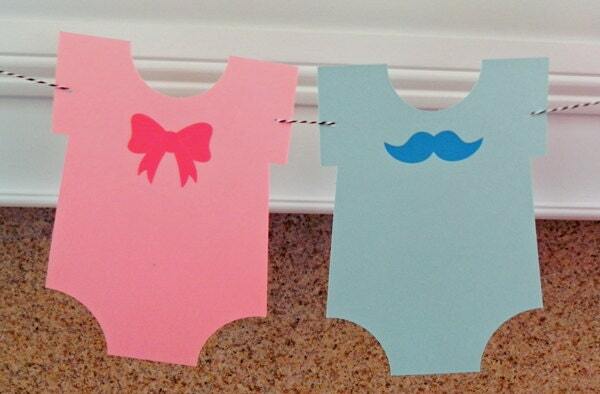 Want to add more bodysuits or customize colors? Contact us!